Feeling dangerous? 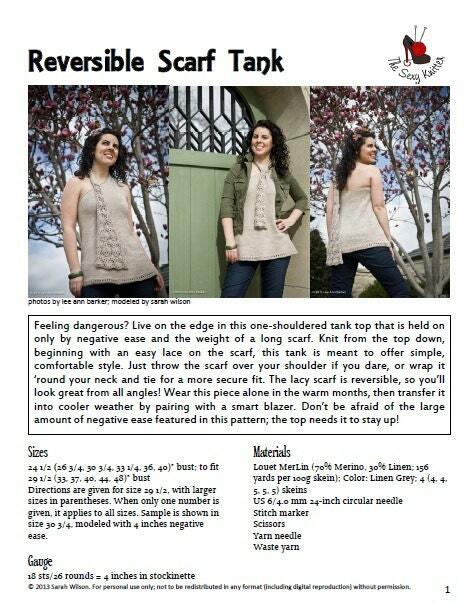 Live on the edge in this one-shouldered tank top that is held on only by negative ease and the weight of a long scarf. Simply throw the scarf over your shoulder if you dare, or wrap it ‘round your neck and tie for a more secure fit. 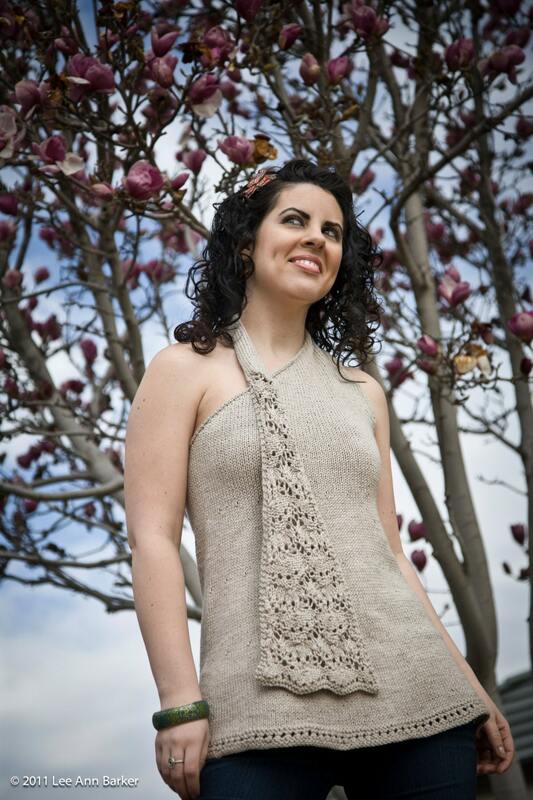 The lacy scarf is reversible, so you’ll look great from all angles! Wear this piece alone in the warm months, then transfer it into cooler weather by pairing with a smart blazer. 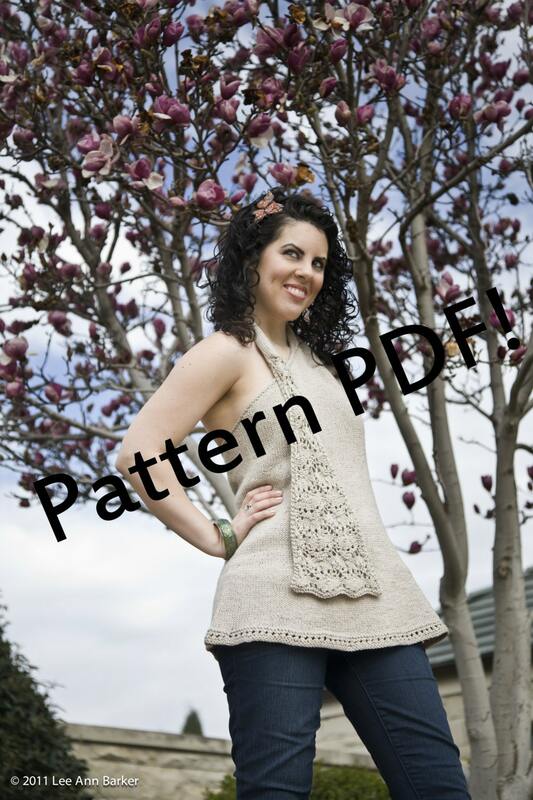 Don’t be afraid of the large amount of negative ease featured in this pattern; the top needs it to stay up!